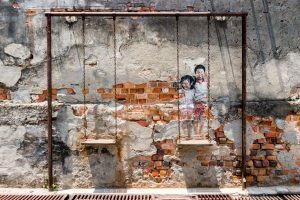 Let’s continue exploring the Asian waters in the wake of our Selene yachts, and make a stop over in Penang; Malaysia’s second-largest city. 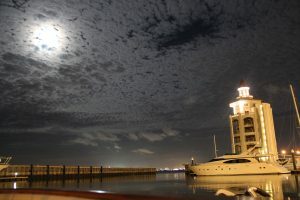 Penang island is almost halfway in the Malacca Strait between Singapore and the Thai waters, and thanks to its modern marina, it can comfortably accommodate boats from 30 to 80’ with excellent technical and provisioning facilities. 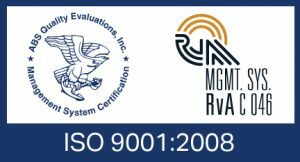 Certainly why it is one of the favorite ports of call for all yachts cruising in the area. 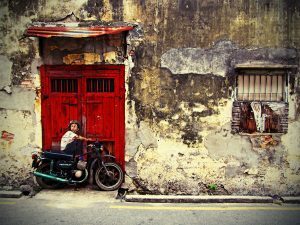 Once known as Prince of Wales Island, its lively city George Town was founded by Francis Light of the British East India Company in 1786, only to later become a regional center for spice production, and a bustling harbor during the heyday of British rule. 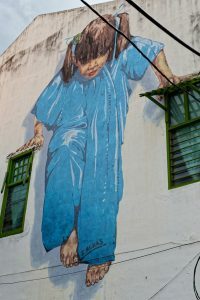 Penangites often are of Chinese ancestry, and in 2017, nearly 40% of Penang’s population were of a Chinese background; the descendants of traders, merchants, laborers, and immigrants from southern China who between the 18th and 20th centuries, moved to the Malay Peninsula. 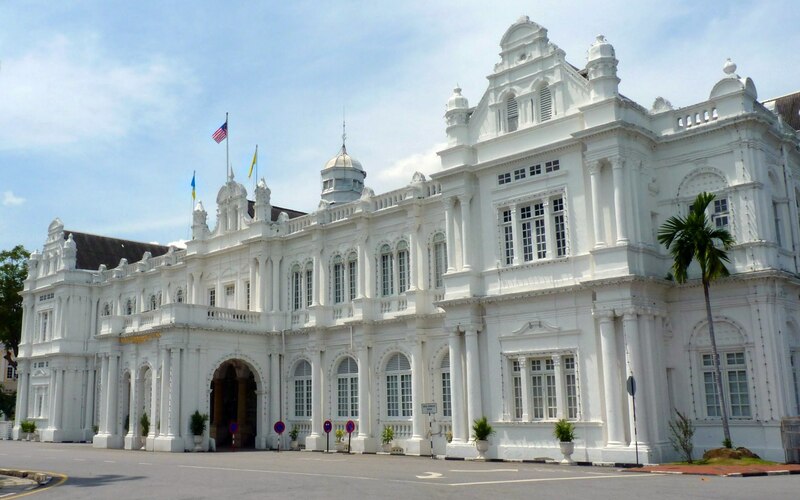 Penang is known for having been the home of Sun Yat-sen, a medical doctor who was the founding father of the Republic of China, and its first president. 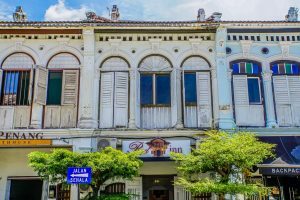 In 1910, he lived in Penang with his family while committing his efforts to the China Revolutionary Alliance, and in 1910, its Southeast Asian headquarters moved to Penang in a shop house at 120 Armenian Street. 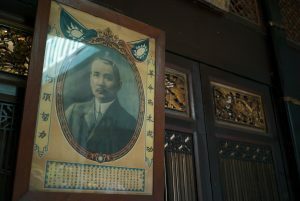 It was there that the famous Chinese exile convened the Penang Conference to plan the Huanghuagang Uprising in Guangzhou against the Quing Manchurian emperor – the last imperial dynasty of China. Sun Yat-sen later co-founded the Kuomintang, the Nationalist Party of China, serving as its first leader, and is remembered as a uniting figure in post-imperial China, remaining unique amongst 20th-century Chinese politicians for being widely revered by the people from both sides of the Taiwan Strait. 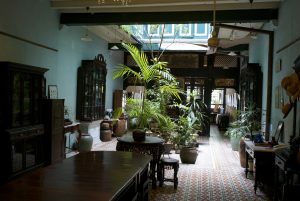 Today, Sun Yat-sen’s Penang home is a museum. 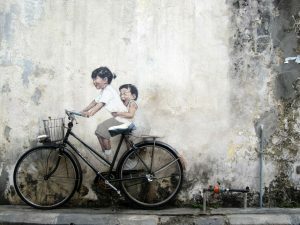 Georgetown is also known for its stunning street art. 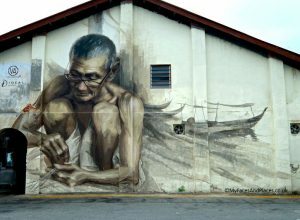 A number of artists have come together over the last decade to create the Georgetown Art Walk, and all in all, Penang is definitely one of the gems of the Malacca strait.